This project is a contemporary style, custom order cabinet / buffet unit for homeowners with a home that is decked out in Quartersawn White Oak. 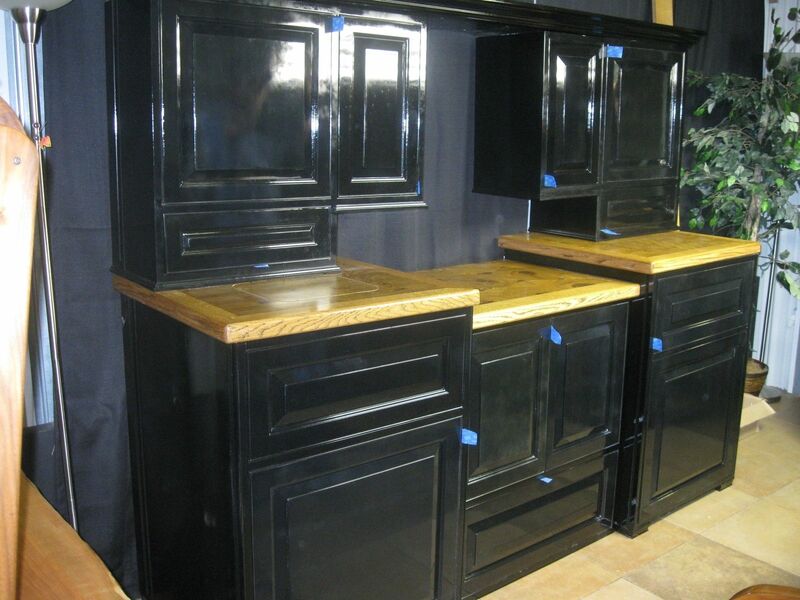 The cabinets are handcrafted solid Maple and finished with black lacquer. 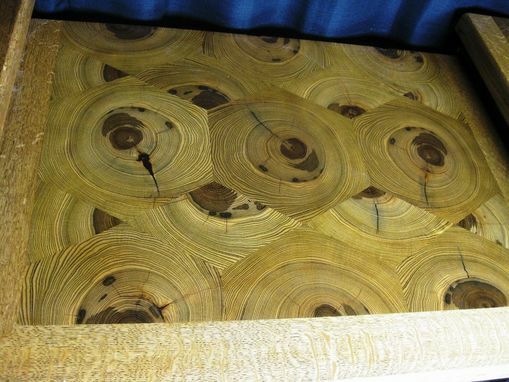 The top is end grain Sassafras octagons, hand cut, and meticulously fitted together, then wrapped with 2" Quartersawn White Oak. They were finished with Waterlox varnish, matching the original White Oak tones.